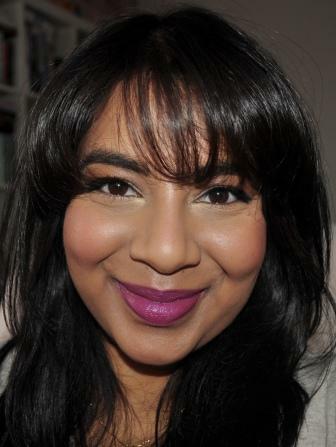 You are here: Home » Guerlain Rouge G Lipstick in Garconne: a worthy replacement for Dragon? 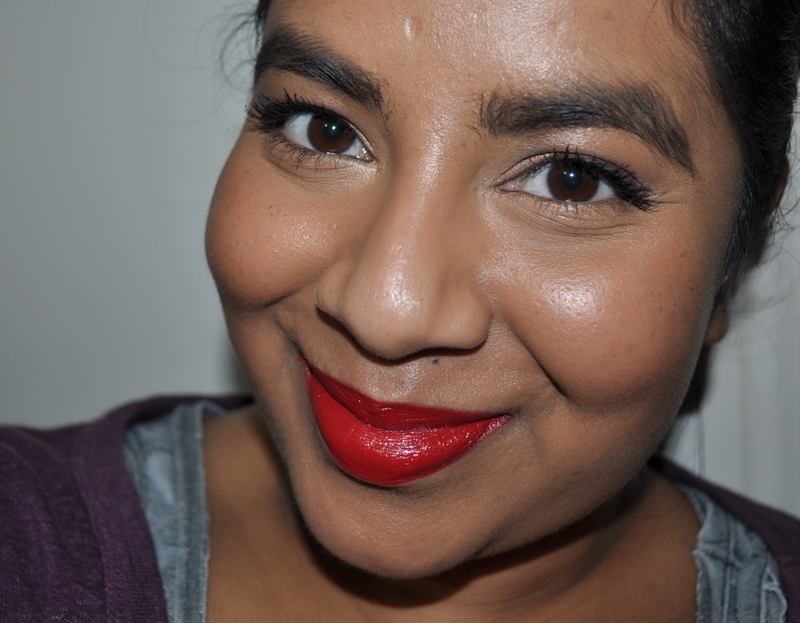 Guerlain Rouge G Lipstick in Garconne: a worthy replacement for Dragon? 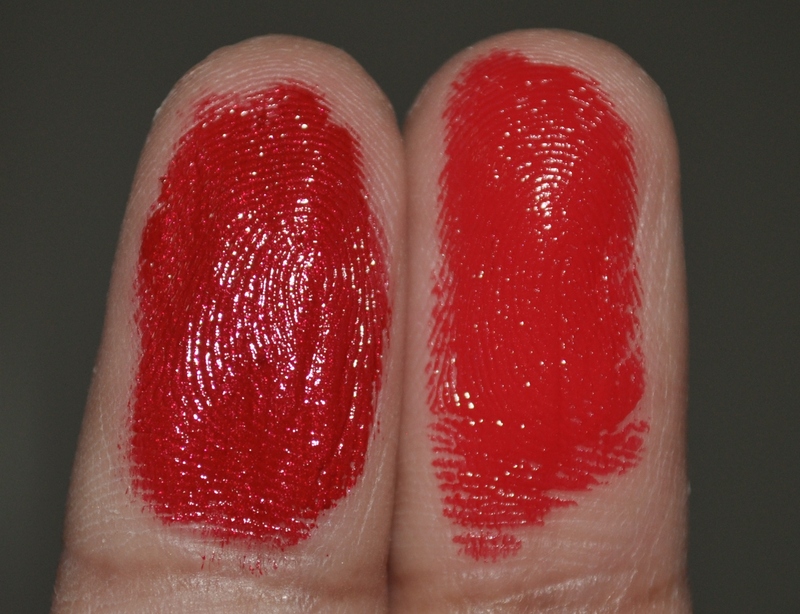 It’s become my life’s mission to try and track down a dupe to Chanel Rouge Allure Laque in Dragon. It might seem crazy to some but when you find the perfect red, anything less just won’t do. In my hunt to find a replacement for my ever dwindling tube of Dragon, I came across Guerlian Rouge G lipstick in Garconne. Now, dupe or not, this is one lipstick you will never regret adding to your collection! Even if you never apply it, the packaging itself is a work of art. 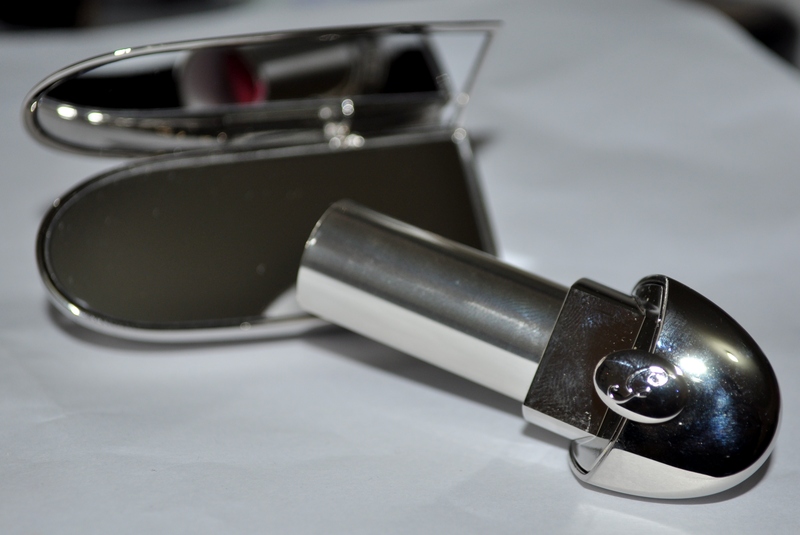 What makes the packaging so cool is the way the lipstick pulls out to reveal a mirror. This is such a genius idea because if there’s one thing you need when wearing such a bold shade, it’s definitely a mirror! The great thing is that the mirror is actually functional which you wouldn’t expect since it’s so small. You can really only see enough to reapply your lipstick in it but that’s all you need. 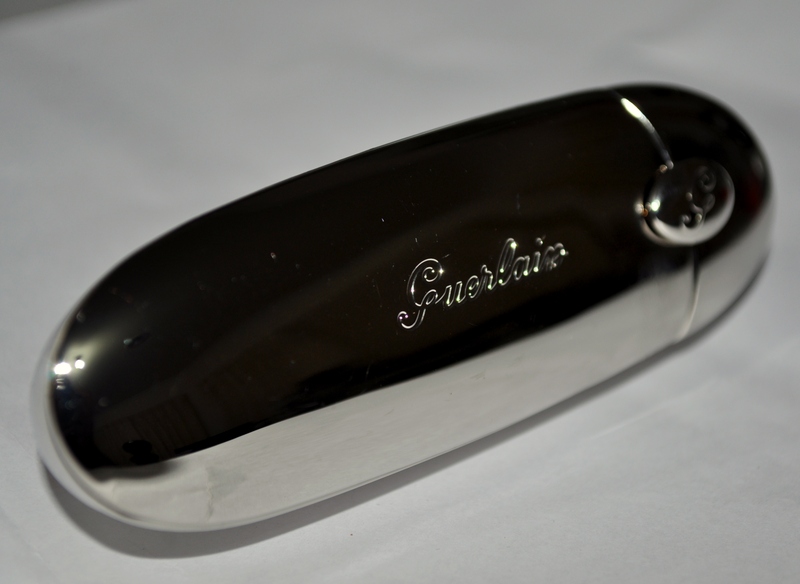 The lipstick case is also quite heavy and just feels expensive, which is good because it is expensive! The draw back though is that these lipsticks are a major fingerprint magnet. The formula on this lipstick (and all the Rouge G’s that I own) is so creamy and lovely to apply. They’re not moisturising but they don’t dry out your lips so you just need to make sure you exfoliate before applying them. I clearly didn’t exfoliate before applying the lipstick in the picture below! I applied Guerlain Garconne on one half of my lips and Dragon on the other so you could decide for yourself. Garconne is definitely a much closer dupe than my last comparison but it’s still not an exact match. Garconne is clearly brighter and lacks the metallic shimmer that Dragon has. I also did some swatches below to compare. Dragon is on the left and Garconne on the right. The difference is a lot more noticeable when swatched like this. 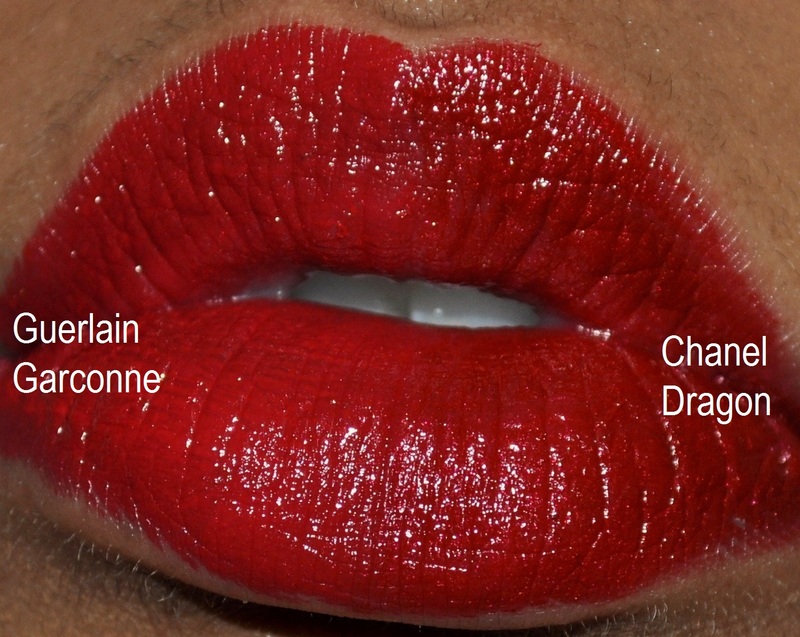 I still think that it’s just not possible to get the same dimension Dragon has from a non-liquid lipstick but Garconne is gorgeous nonetheless. As I mentioned earlier, Garconne will set you back a bit and comes in at the higher range of the lipstick market. 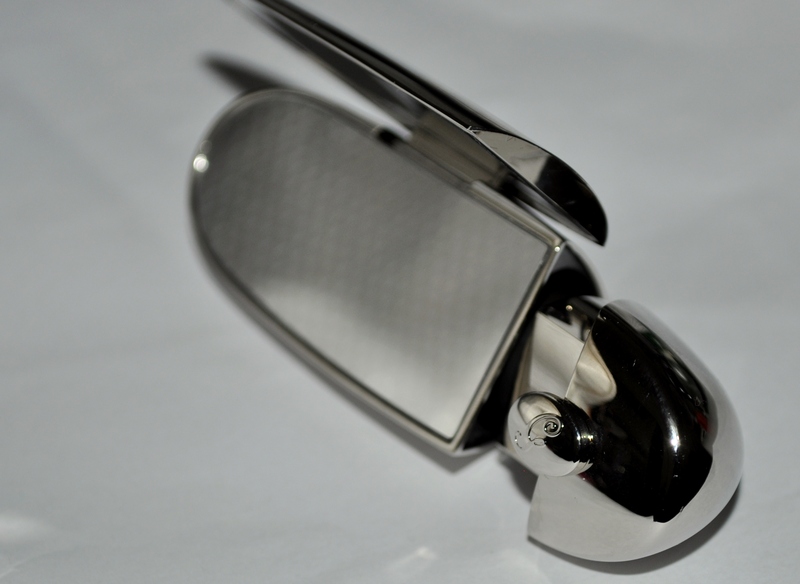 at $49.50 US/$63 AU. I think it’s worth the splurge if you want a bit of luxury in your life. What’s your special occasion lipstick? Both of the reds look beautiful on you!! It is a gorgeous shade but I prefer Dragon just because I find it more wearable because it isn’t as bright.